Figi's® English Butter Toffee. A classic that needs no explanation. 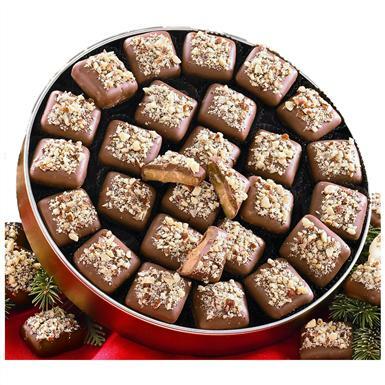 While the origins of English Toffee are unclear, this sweet candy has become immensely popular around the world. You'll love this version, which mixes buttery nuggets with almonds. It's then double-dipped in creamy milky chocolate and topped with toasted almond bits. 10 ozs.